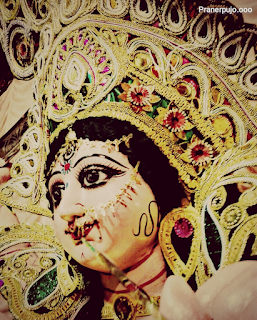 Durga Puja is a festival of Bengalis, wherein 56 food items are made. As soon as this festival comes, people get water in their mouth. In Durga Puja, food is also an attractive corner along with the splendor of pandals. If you have the right fun for Durga Puja in Bengal then take it in Kolkata's street food. 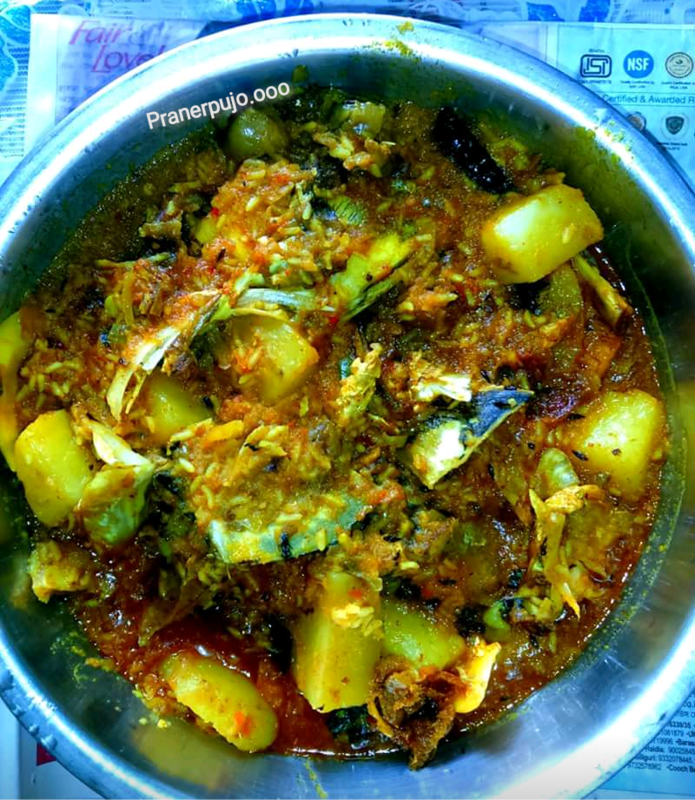 Yes, from home made Macher jhol to potato posto, from sweet curd to brinjal of Bhujia. Everything is so tested that there is water in the mouth. People from the corner of the city come to Kolkata to enjoy Durga Puja. During the worship, street food of Kolkata also becomes very tasty. 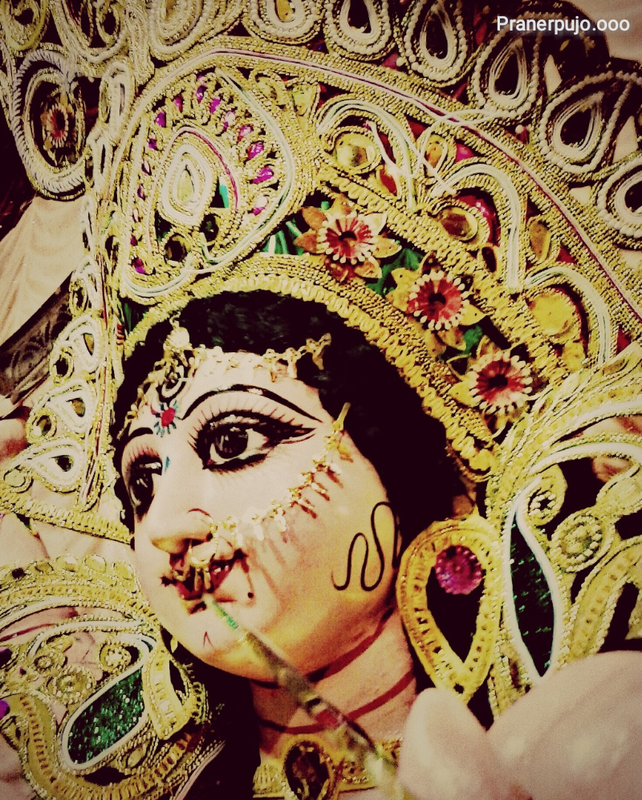 Let us tell you about some special items of Kolkata during Durga Puja. You can think of making it in your house too. Without these things, worship is incomplete. 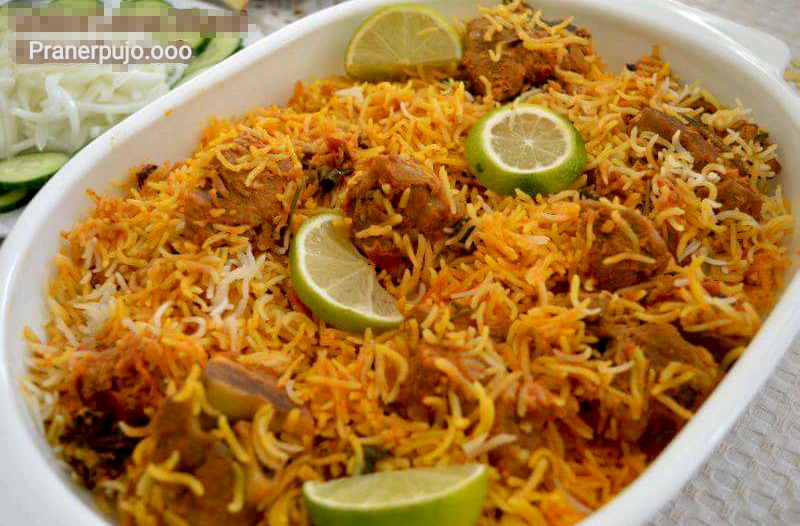 In fact, these dish is also called the specially worshiped dish of Bengalis. Not-veg is Bangalis favourite. Luchi is the most favored of the Bengalis. 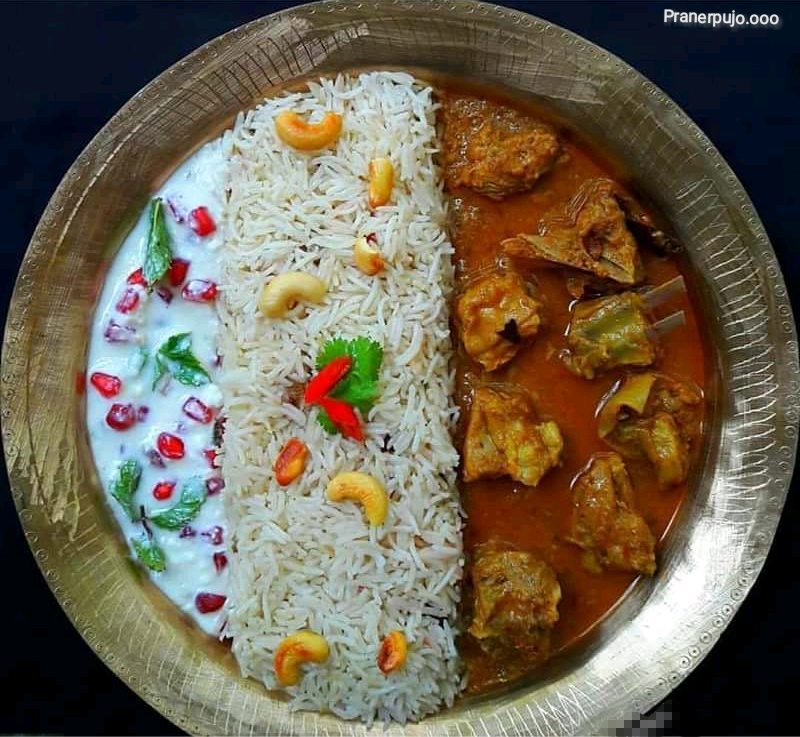 On four days of Durga Puja, they start the day with different meals. 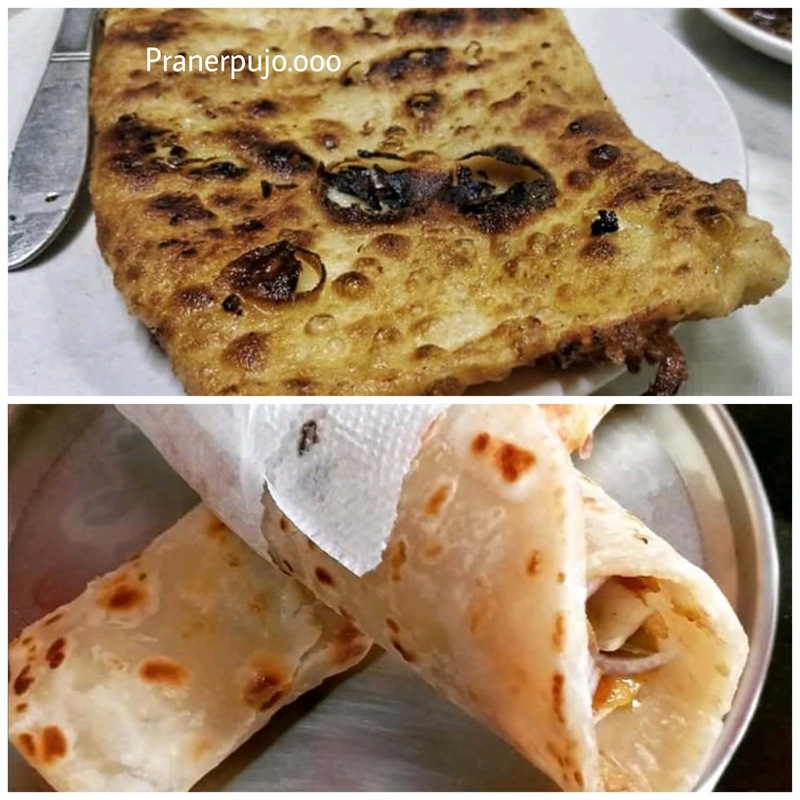 Maida Luchi is special for her morning breakfast. 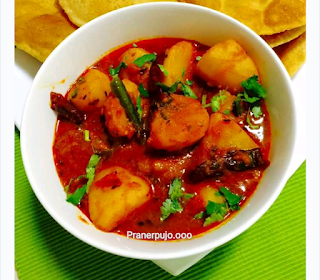 Potato curry is a favorite of Bengalis. 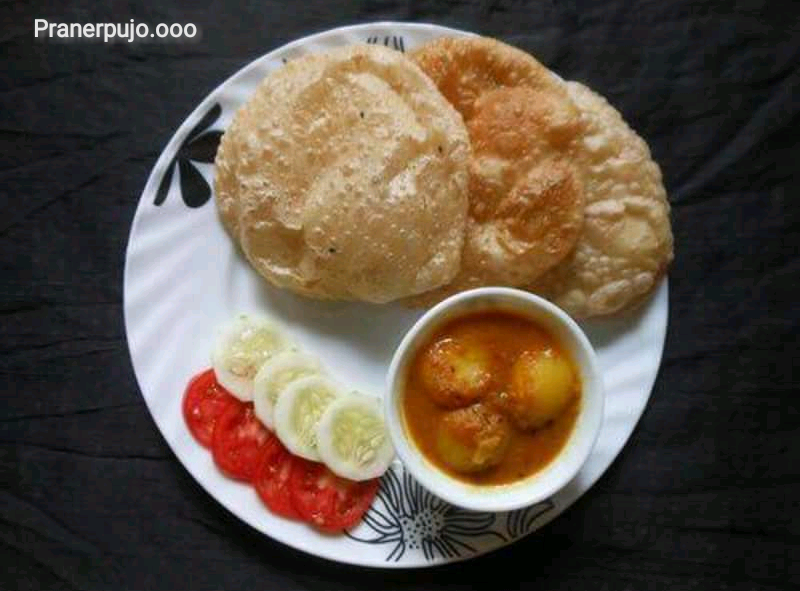 On the day of Saptami they eat potato with Luchi. Although they can eat in ordinary days, but it is special during worship. 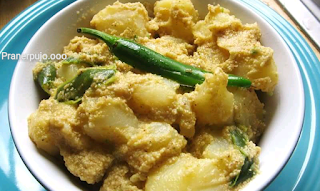 In fact, there is a custom of eating different things on different days in Bengali people. If Bangali didn't eat Sandesh, then the worship(Puja) seems incomplete. Yes, the Sandesh of milk or chisel. 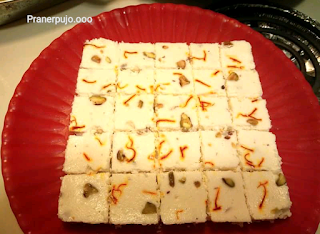 You can decorate the Sandesh with saffron and almonds. You can make it in your home too. The Sandesh is the most fond of sweets. Do you know that Macher Jhol is the most favored of Bengalis? 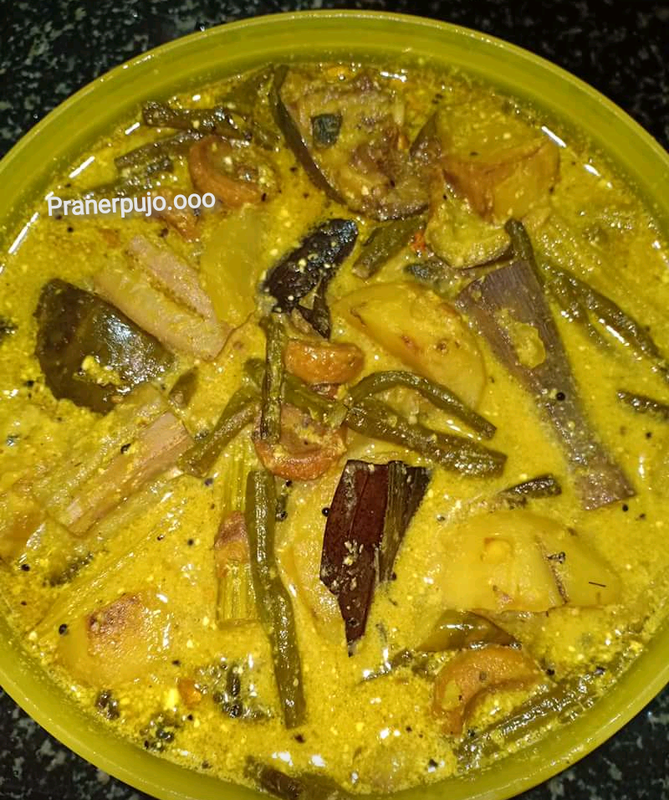 But Tangra Macher jhol is the Special Dish of for Durga Puja. It is made by adding red chillies and making it tart. Its gravy will bring water to your mouth. Eat it with hot rice. The name will look strange, but it is the chief of the Bengali food. Shuktao can be of any thing. It is made from eggplant, potato, berry, began some green vegetables of the farm. Its gravy is made from milk. The non-veg is special in worship(Pujo). Anything of Mutton and Chicken is what the Bengalis seem to be so tested. Mutton Biryani made from Desi Ghee is So Special for Bangalis you should try this. Eat some vegetable with it. Potato posto must be eaten by everyone, but if you eat potato posto with Parwal, then it will be a matter. Yes, grind Posto with the torch and fry it first, then after that, roast it with potatoes and parwal. A super Tasty Gravy vegetable will be ready. In it you put coconut pieces. 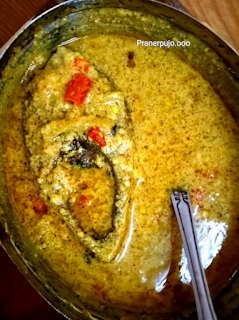 Islish Maach is popular in Bengali Elish Macher Jhol, may leave behind every dish. It is fry in oil. Make a paste of ginger and garlic and dip it in it. 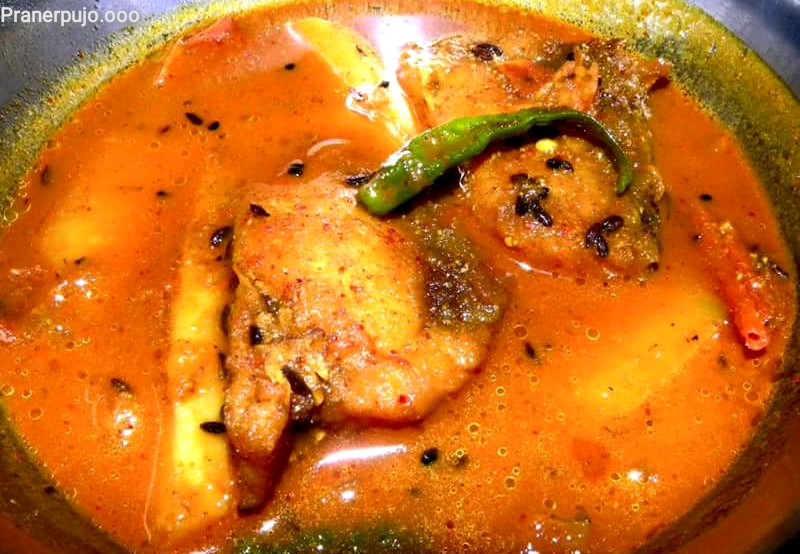 This fish is one of the most expensive Fish in West Bengal.. And Every one is Mad for it..
Mughlai and Roll, these two Bengalis have a festive meal. 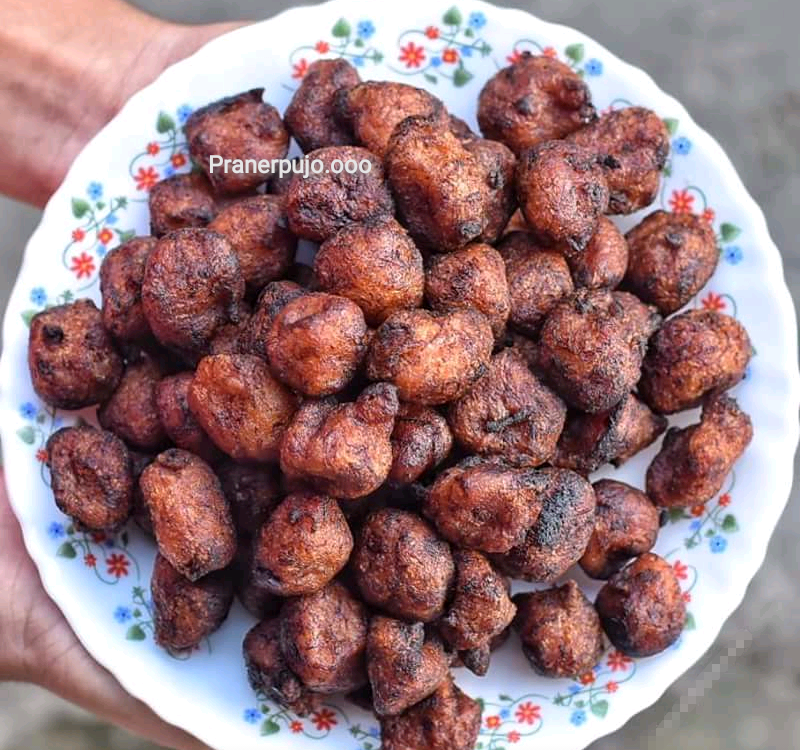 It's very cheap and in pooja is available everywhere as street food. These dishes are never old. Water comes in the mouth of people, hearing the name of these two. 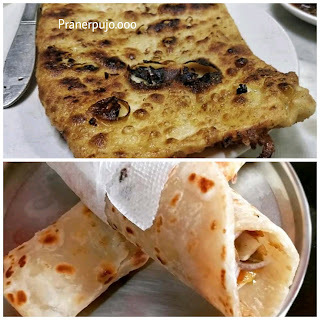 Calcutta veg rolls and mughlai, egg rolls or paneer rolls can also be there. Bananas Bora, you have heard that you are made of coconut and bananas. Sugar and flour are added in it. It's kind of sweet. They are good at hearing, but they do sweet work in food. Maacher Ghonto are very tasty. Cut the head of the fish and add salt and chillies in it for a little while, then fry it deep in oil. It's a very spicy Dish. *These Items are too Special for Bangalis during Puja, there is also many more Dishes it is so small amount of dishes for Bengalis. Because Bangalis Dishes never end, if you get time we will explain all... But just make this tasty items in your home you and comment us how it is!!!!!!! !